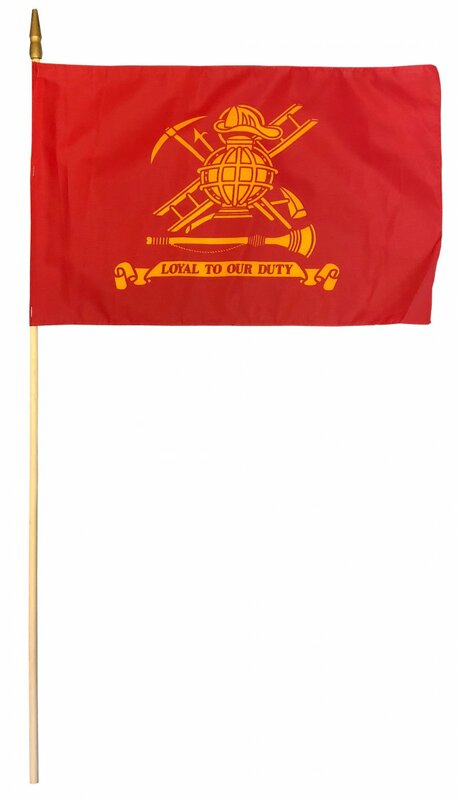 Made from a silky polyester-cotton blend this 12"x18" Firefighters flag is hemmed around the edges and attached to a 31" wooden staff via heavy duty staples. The wooden staff measures 3/8" in diameter and has a gilded wood spear point; the staff is 31" in length including the spear point and 29" without. A great size for parades or display along a path.